It’s located in what used to be the Queen Victoria Hotel in Enmore and it’s a big space. You walk in downstairs to a pretty dark bar area and then upstairs it’s a combination of bar and terrace dining. I was there for lunch so the terrace area was light and bright – I felt like I was in tropical Asia. I was dining with a couple of rather conservative ‘honkies’ so I kept the ordering fairly simple. 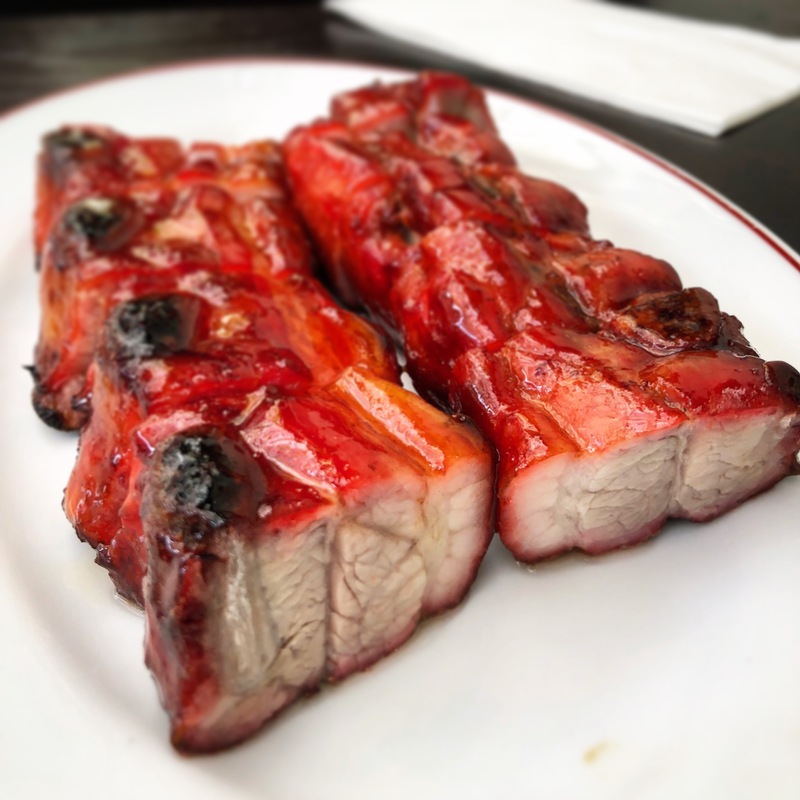 The steamed dim sum platter, the honey glazed BBQ pork spareribs, half a roast duck with plum sauce, and I had to have a stirfry – Cuttlefish, macadamia and garlic chives – I can safely say I haven’t seen that combo before – plus some fried rice. No complaints at all – I loved the whole experience. On the way out I noticed the ‘Queen Chow Loves You’ sign – well, the feeling’s definitely mutual. Who is this masked stranger doing food reviews?